Luck has not been on the side of Rajasthan Royals in IPL 2019. 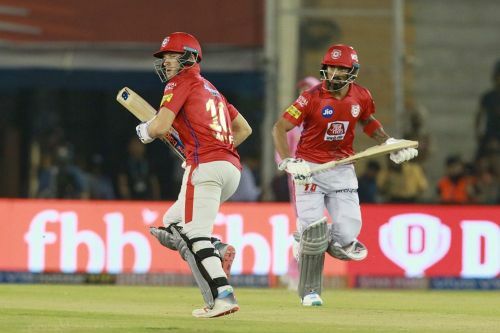 They have performed well but have not been able to handle the pressure at the key moments, and therefore are languishing in the bottom half of the IPL points table. Their match against Kings XI Punjab yesterday was no different, as they played well enough to get into a position of strength, before throwing it away through nervous cricket at the death. Here is a list of 4 key moments that led to the loss for Rajasthan Royals. KL Rahul started slow but found his timing in the later part of the innings. He along with David Miller formed an 85-run partnership that took KXIP to a par score of 182. Miller scored a quick-fire 40 which gave the Kings innings the much-needed momentum. The senior Ashwin in the team hit all the right notes in the match. First he gave his team an additional 10 runs to defend by scoring a 4-ball 17, and then followed it up with some tight bowling. Ashwin was not only able to keep the run rate in check, giving away only 24 runs off his 4 overs, but he also took two valuable wickets - one of a dangerous looking Sanju Samson and the other of the set Rahul Tripathi - to derail the Rajasthan innings. His captaincy was also spot on as he experimented less and made some inspired bowling changes. Jos Buttler has been instrumental in both of RR's victories this season, and he was expected to play a major role in this match as well. Mujeeb Ur Rahman seemed to be the only threat and Buttler managed to see him off well. Uncharacteristically, however, Buttler fell to newbie left-arm medium pacer Arshdeep Singh after a solid start of 23 from 17. This gave the KXIP players a major boost. Rajasthan were cruising till the 14th over, needing 66 runs off the last six with eight wickets in hand and a set Tripathi in the middle with an experience Rahane for company. Everybody expected them to score some quick runs, but the pair could score just 16 off the next 3 overs, leaving too much to do at the end. One positive that Rajasthan Royals can draw from this match is Stuart Binny's batting. With Ben Stokes not finding much timing in the middle, Binny needs to play a major role if RR are to stage a turn-around this season.